Jay Henderson is a performance expert, speaker and the author of The Ultimate Guide to Hiring Super-Stars in Any Small Business. He is also the creator of The Performance Process – a proven method that accelerates any business result you seek. 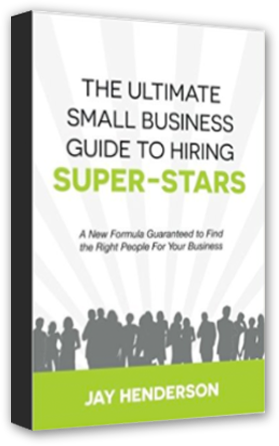 In this book Jay Henderson shows why the old model of hiring just won't work for small business and lays out a plan for how you can best predict a potential employees performance in your business.